We spend a great deal of our time working directly with tournament and league staff and are constantly building and enhancing that part of our system. However, our college features are what got us started in this business and we are constantly updating that system to make sure it has all the tools our athletes need to continue playing the sport they love in college! The athletes that use our system are provided with a simple guide to the recruiting process and we walk them through the steps to give them the best chance possible to continue their careers. Our most recent update includes a redesign to the player profile and the athlete control panel to help them really stand out and get noticed. 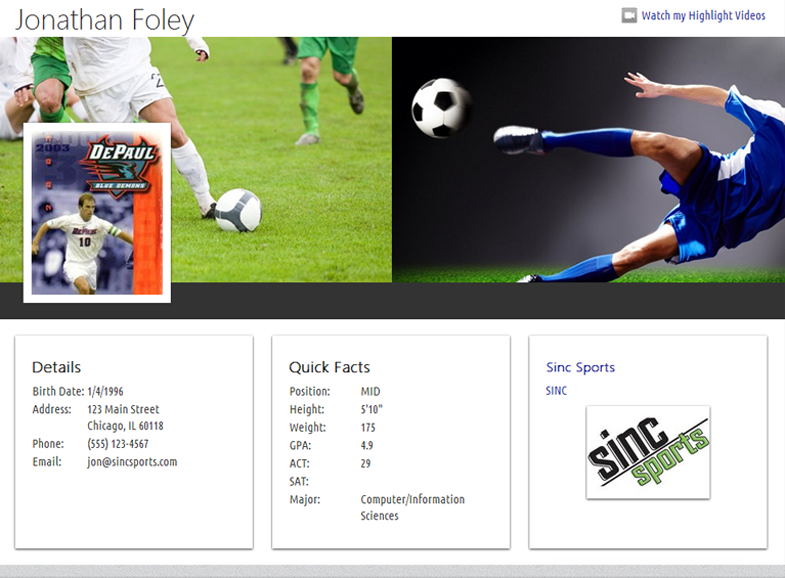 The redesigned profile puts athlete photos and their highlight videos right at the top of the page with the quick facts that college coaches are looking for right under that. The scrolling banner of photos captures the interest of coaches right away and showcases some of your best action shots. Each photo can be clicked on to be viewed in full size. The highlight videos appear right at the top, front and center, so college coaches can see you in action. With so many athletes fighting for a limited number of spots, you need to SHOW college coaches why they need to recruit YOU! The best part of these updates is that they are completely integrated into our SincSports event management system. 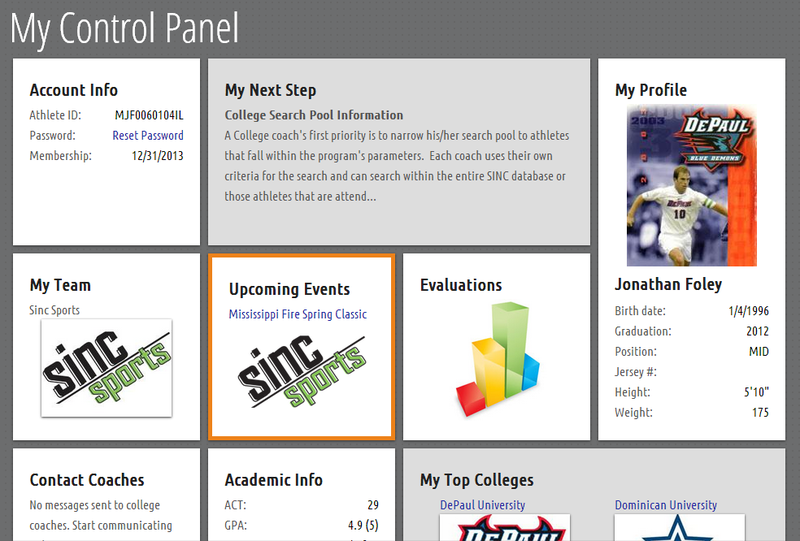 All athletes attending our college showcase events will be able to take advantage of the system updates! College showcases are the BEST opportunity to be seen by college coaches. If you are an athlete and are serious about playing the sport you love in college, you need to do your research and find the colleges that meet your requirements academically and athletically. If there are coaches attending the showcases you’ll be at, make sure you reach out to them and try to get them see you play. The redesigned control panel lays out the important items in a simple tile layout so you can quickly and easily check in on your status. Want to see more information on our premier plus memberships? Take the tour!